UPDATED 5/31/18: A former Scappoose School District superintendent who was released early from his employment contract in 2011 at a time when he was the subject of a discrimination and harassment lawsuit will return to take the role as the district's temporary leader following the school board's approval Tuesday, May 29. 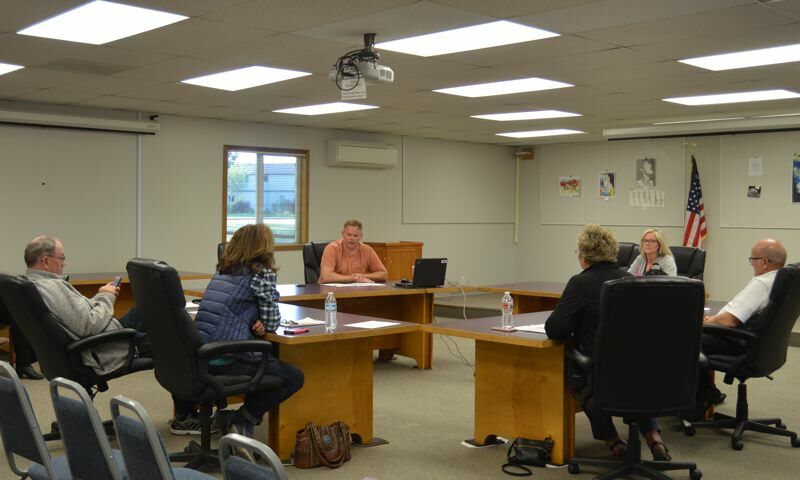 The Scappoose School District board voted 5 to 2 on Tuesday to approve the hire of Paul Peterson to a one-year interim superintendent role. Board members Lisa Maloney and Tim Brooks opposed the vote. Board member Will Kessi was not present for the meeting but participated via phone conference. Peterson, who has served as the Northwest Regional Education Service District's assistant superintendent since 2011, worked in the Scappoose School District from 2006 to 2011 as superintendent, but was released early from his contract to take a job with the ESD. Prior to his departure, three female Scappoose administrators — Darla Meeuwsen, Sue Hays and Pam Reynolds — jointly filed a lawsuit in Multnomah County Circuit Court against the district and Peterson in 2011. The lawsuit alleged Peterson harassed and discriminated against the women in the workplace, including passing them over for promotions, providing lower pay, and subjecting them to derisive comments, according to court documents. The trio sought $7.5 million in damages. In 2012, the district settled during the pretrial process for $500,000. The settlement was paid by the district's liability insurance carrier. Meeuwsen, who now serves as the director of the district's charter school, Sauvie Island School, is the only employee named in the suit who still works in the school district. Previously she worked as the student management assistant and athletic director for Scappoose Middle School. Meeuwsen said she did not want to comment on Peterson's hire, but explained that the charter school's relationship with district administration under Interim Superintendent Ron Alley's leadership had improved over the past year. The school district issued a press release Wednesday morning, May 30, announcing Peterson's hire and highlighting his past accomplishments, including passage of a $33 million school bond in 2008, his involvement in community committees, and leadership through difficult financial situations. "Paul is a strong, thoughtful, fair, and deeply dedicated educational leader, and I am proud to have him returning to Scappoose School District," Scappoose school board Chair Phil Lager stated in the release. "Seven years ago, Northwest Regional ESD recruited Paul away to serve on their leadership team. He has served our region well and I am looking forward to his continued leadership for our schools and community." Peterson noted in the release that he is looking forward to returning to the district. "I know from experience working in Scappoose Schools, and as a parent of two kids that started Kindergarten at Grant Watts and next year will both be at Scappoose High School, that our schools are full of highly skilled and caring professional educators who daily create opportunities for all our students to be individually inspired and prepared to thrive in a diverse world, and to be thoughtful leaders for the next generation," Peterson stated in the release. The school board has struggled to fill the superintendent position, and has been searching for an interim superintendent for nearly two months. Following its ouster of former Superintendent Stephen Jupe in May 2017, the school board sought to find a full-time replacement after one year of having an interim superintendent in charge. At one point the board had zeroed in on Alley to fill the full-time position. Alley pulled out of the running, however, after anonymous allegations of sexual harassment were leveled against him in April, soon after the board announced he was one of two finalists for the permanent job. The board then began the process to find an interim superintendent replacement. On May 17, the board held an executive session to discuss the final two interim superintendent applicants who had earlier been narrowed down from a larger pool. Only Peterson attended the meeting. During Tuesday's meeting, board members Brooks and Maloney stated their opposition to Peterson's hire. Brooks said he felt like the district was "opening a can of worms" and that the board "might be setting ourselves up for a lawsuit." He added he felt the district could find an interim superintendent who didn't have Peterson's history with the district. Maloney read from a prepared statement Tuesday night, noting Peterson's past with the district and her concern with his alleged treatment of women employees. "I do not believe Paul Peterson a suitable choice for this position or for our district and therefore will not be voting for him as our superintendent," Maloney stated, in part. Vice Chair Michelle Graham defended the choice, and said she was pleased with Peterson as an interim candidate because of his familiarity with the district and the stability he will provide. She also noted his six-year tenure with the NWESD as an added value. Prior to Tuesday's vote, Maloney, stated concerns to the Spotlight about the lack of public knowledge of who the board was considering for the top administrative role in the district. Maloney stated that her comments were being made from her position as a resident and not necessarily a board member or spokesperson. "I do believe those names should be publicly available and I don't think to my knowledge that it's going to be made public and I believe it should be," Maloney said. The school board withheld all names of candidates being interviewed for the position, citing a confidentially issue. Lager explained that many of the candidates expressed interest in withholding their names from public disclosure when they applied for the interim position.